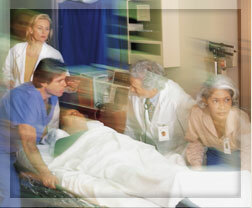 Emergency room personnel save lives and resolve many urgent health crises. But ERs are also where a great number of serious treatment errors occur, which often harm patients' health, even resulting in patient deaths. At Watts Law Firm, P.C., in Woodstock, Vermont, we pursue cases in which medical negligence in the ER has led to serious injury or death. We serve all of Vermont and people working or attending school in surrounding states. Wrong diagnosis: Even busy medical professionals are obliged to make logical diagnoses. Failure to meet this basic standard may lead to wrongful death. Misdiagnosing a heart attack: A heart attack is often mistaken for "just gas." The patient goes home and the condition worsens. Misreading X-rays: By misreading images, physicians and midlevel staffers may fail to treat a serious problem. Misinterpreting tests: When a doctor misinterprets test results, a patient may be discharged by mistake without necessary care. Not ordering proper tests: When a physician fails to order a test that most doctors know is indicated in that situation and the patient suffers from this negligence, a malpractice suit may be in order. Failure to follow up: Sometimes a doctor or nurse notices something important on a chart after a patient has been discharged. Failure to call the patient may result in a serious setback. Poor discharge instructions: Patients often don't understand medical shorthand, and providers often don't take time to explain aftercare. Mistreated athletic injury: Young athletes risk having their sports careers cut short when an injury is mistreated. No one sets out to commit medical malpractice. But patients and surviving family members have a right to expect a reasonable level of competence. When that level is not met, hiring an experienced lawyer may be the victims' best chance for rightful compensation. Have you or someone you love been harmed in an ER error? Call Vermont emergency room mistakes attorney Norman E. Watts at (802) 457-1020.